The Quietus is enjoying a Zywiec – a small one, mind - with Zimpel in a cellar bar in Poznań and he’s proving to be as genial offstage as he is compelling when on. Enthusiastic and talkative, Zimpel’s demeanour matches his restlessness as a musician. Though ostensibly a jazz clarinetist and composer, he uses his skills in this area to create a core that is surrounded by layers of music from whatever areas are pulling at his natural musical curiosity. Last year he piqued tQs’ interest not once but twice. Released in February 2016, Lines was his first solo album and it’s a stunning record that mixes minimalism with gently undulating arpeggios, electronic pulses and beguiling repetition with his quest for improvisation. Consistently beautiful throughout, it also stands as an emphatic riposte to the tedious bores who claim that contemporary music has nothing to offer. On the contrary, Wacław Zimpel emphatically proves that they only thing preventing progress is a lack of imagination. He then did it again at last year’s OFF Festival. Teaming up with Stara Rzeka’s Kuba Ziołek, the pair pooled their combined skills and resources to present three extended pieces of minimalist drones tempered with elements of open-tuned folk music and clarinet exploration that blended rather than jarred. And though it seemed at the time as if their efforts would be lost to posterity, then came the news that pair got together in January of this year and finally got the pieces down. This stunning four track album came out on Instant Classic last week on the same day the pair played the material together at Unsound festival in Krakow. But this year has been busy all through. His continuing musical journey has led him to revisit his Polish-Indian project, Saagara, and their resulting second album, 2, is one of the year’s finest. This isn’t a case of Zimpel simply playing over Indian music but a carefully constructed and considered project that seeks to find the points at which eastern and western musical traditions intersect. Painstakingly crafted, it also finds additional avenues for exploration that touch upon minimalism and drones, as well focusing on the power of rhythm in relation to improvisation. 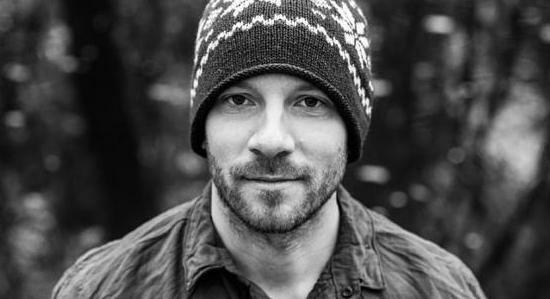 It’s now several hours before Zimpel is due to play at the Great Hall at Poznań’s impressive Centrum Kultury Zamek – the cultural centre located in the Imperial Castle – on an unseasonably chilly spring evening on the opening night of the Enea Spring Festival. Zimpel’s current interests lie in loops and electronics and later that evening he delivers a stunningly intoxicating set. Not for him jamming along to WAV files on a laptop, but a series of live loops and sequences that sees him master not only his beloved clarinet but also a khaen, a proto-harmonica from Laos. The Spring Break festival concert is something of a homecoming for Zimpel. Born in Poznan in 1983, he harbours very vivid recollections of how music reeled him in. Taking up violin at the age of six, Zimpel knew even then that one instrument wouldn’t be enough for him. Yet his interest was almost derailed when boredom with the violin was coupled with the tedium of playing to sheet music. His salvation came from two unusual sources. At once, Zimpel found a freedom that had been lacking in the rigidity of his violin lessons, and that freedom manifested itself in improvisation. He pauses to take a sip of his beer before considering the impact of Louis Armstrong, the harmonica and the move to his signature instrument, the clarinet. And with his past established, it only makes sense to look at his present and also his future. The clarinet is a very typical Polish instrument and at the same time Polish Jazz is a very distinct genre. Do you see yourself as part of an extension of traditional Polish folk music and Polish Jazz? Wacław Zimpel: Yes, I do. Definitely. The musical education system in Poland’s schools has been the same for nearly 60 or 70 years and it’s a regular subject. You can study music parallel to your regular studies so all those guys like Tomasz Stańko, Zbygniew Seifert and Krzysztof Komeda studied classical music but somehow came across the idea of improvisation and that’s how they started to express themselves. That’s exactly how it was for me. Certainly, when I was growing up I had better access to recordings than those guys had in the 1950s and the 1960s. They couldn’t really get hold of jazz records but I could and they’re really big influences, especially Stańko. I was always fascinated by his sound; you can tell it’s him after just two notes and I wanted my own sound. This is what’s really important to me as a musician – to find your own voice on your own instrument, and Stańko definitely achieved that. What he does, and this seems natural to me, is connect sonority with melancholic melodies. I’m definitely part of some heritage. I was born here and I studied here and previous generations have had an influence on me but while composing and playing, I never think about whether I’m speaking in new cultural language. I’m trying to be open to creativity wherever it comes from. I don’t want to limit myself about certain patterns or certain traditions. I just want to play whatever comes naturally to me. That’s how I feel about music – it has to come naturally to me and it is what it is; you don’t know where it comes from. It’s definitely connected with my tradition and I’m sure that people who aren’t from here might recognise it as Polish. You’ve released the second Saagara album, 2. How did you make the connection between jazz and raga music? WZ: There’s already a great example of this connection like this with Shakti that featured John McLaughlin, L. Shankar and Zakir Hussein, and they were a huge inspiration. What’s really amazing about John McLoughlin was that he did these really detailed studies of Indian rhythms patterns and raga systems. He went really deep into and I want to do the same. I want to dive into this music and Indian music culture because it’s so fascinating. I’m still studying it and want to find out more about their rhythm systems. I went to India for the first time in 2012 and I met all the guys who play on Saagara and a year later we recorded the first album. All the compositions that I wrote back then were based on Carnatic musical ideas. Carnatic music is the most ancient form music from south India, and it’s probably the oldest musical tradition in the world. I met some classical Carnatic musicians and I learned a lot from them such as ragas and rhythm cycles. I was also fascinated by the first Shakti album (Shakti With John McLoughlin) and there are pieces on our first album that are very much inspired by that record. I was very much into Carnatic ideas but at a certain point I realised that I could never go as deep into this music as Indian musicians do. They play for three hours or so every day or every other day in the same way that I learned Mozart. And I thought to myself, you can study this as much as you want but you’ll never be an Indian musician; you’re a Polish musician! Once I realised this, my friend and album co-producer Mooryc and I started thinking about how to create a new way to communicate on a musical level with Indian musicians. It’s a compelling blend that you’ve created there, and it sounds like an instant connection between traditions. WZ: I’m glad that it sounds like an instant connection but it was anything but instant! It’s now 2017 and I started working on it in 2012. So how did it work in terms of creating this blend of traditions? WZ: The Indian modal scale system is probably the most sophisticated modal model in the world. The basics of Carnatic music are based on 72 scales so these are all possible scales which you can build from using the 12-tone scale and then it’s just a case of mathematics. If you take the 7-step-scale which going up and going down has the same notes, the first and the fifth is always perfect fifth, there are 72 combinations of this that you can use! This is called ‘melakartas’ and this is the point of building the next ragas, so in common use there are about 300 or 400 ragas but in general there are probably thousands out there. But all of this you can find in contemporary classical music but what is fascinating about Indian music is that every raga is like a separate story in terms of meaning. You can read about how ragas influence your body, your body and your ambience so this is really deep, esoteric knowledge. Beside that, there is an ornamentation system called ‘gamakas’. So, each raga – out of all those thousands of ragas – has its own particular way to make those ornaments or ‘gamakas’. But I can’t do this. Also, I simply can’t hear the music in the way Indian musicians do. I can get close but it’s really difficult for western ears to understand this. What I do is take the Indian scales but I play them my way; I try to understand as much as possible the rhythm and concentrate on that and that’s my interpretation of it. A lot of roots and vernacular music, be it blues, folk, raga and so on, is rooted in the drone. WZ: That seems so natural to me. I’m much more interested in music that is based on drones than that which is based on major and minor systems. It seems natural because you have drones all over in nature. Waterfalls, for example, give you a constant sound and there are recordings of planets and the universe humming. WZ: Yes, I can believe that but there are definitely drones in nature like the wind or the sound of the sea and somehow it seems more natural than chord systems. And what’s really amazing about drones is that you can stop thinking about time flow. Chord changes and chord progressions are always locked into a time cycle. Are those the things that you were applying to your performance with Stara Rzeka's Kuba Ziołek at the OFF Festival last year? What was the objective of that partnership and how well do you think you achieved it? WZ: We have a lot of common inspirations and a lot of different music from around the world is inspiring to us. We also both very much like minimalism. We also share the way you give space in music and that’s where we meet. We think about space in a similar way. The idea was to play together but we have different musical backgrounds. Kuba hasn’t had a classical musical education so he doesn’t read music like I do – I read scores like people read books – but to be honest that’s a skill that I don’t use often. I tend to rehearse when working with people from different traditions and we have to find a way to communicate in a different musical vocabulary. We started by improvising and I was going through a period of using loops so it was quite natural for Kuba to pick that up. He brought some interesting loops with him while using some really interesting tunings on his guitar. And so, step- by-step, we created those pieces. We took them on the road for six months and finally, in January of this year, we took them into the studio. The thing that struck me about those pieces that you performed with Kuba Ziołek was that they had a cinematic quality about them. Would film soundtracks be an area of interest to you? WZ: A lot of people have said the same thing! I recently got an offer to write the music for a Polish movie and I’ll do it but this will be my first cinematic experience. There has been one film that used my music but that was stuff that I’d already recorded but I’ve never written music especially for a film so I’m really looking forward to it. So what’s next for you? You don’t stand still for very long, do you? WZ: No, I get very bored very fast! The thing is, when I enter a new musical area and I learn how to master it, it doesn’t have value for me anymore! I don’t why it is like that but I’m sure this knowledge stays there somewhere but when I’ve mastered something I then abandon it and move somewhere else. I now want to concentrate on my solo project. Of course, it’s based around my clarinet but I’m using a lot of electronics which are a new thing for me. I’ve been using them since the release of Lines as I was thinking of how to play those tracks live. I’ve been using them for a little while but I feel that I’m only just scraping the surface of their potential. But I also want to make a big step towards production and I also want to develop this trio that I’m working on. Outside of Kuba Ziołek, these are the only Polish musicians that I’m working with. Something new will show up. I don’t know where from but you can expect it.